One of the more daunting tasks you will encounter on the Everest Base Camp Trek is packing for the trek itself! To help you get a head start we have compiled an easy to navigate and complete list of what you will need for the typical Everest Base Camp Trek and similar treks in the region. The guide is by no means definitive in that you have to pack everything listed. It can and should be tailored to your personal need and preferences. Throughout the article we have linked our personal recommendations for gear that we have either owned and used. These recommendations are based on past experience of trekking in the area as well as feedback from guides and travellers who have completed the trek. We believe this equipment offers the best performance as well as good value for money, ensuring you don’t have to break the bank to enjoy the beauty of Nepal. Most of the equipment listed can be rented or purchased in Kathmandu or in Namche Bazaar, but understand that you run the risk of being sold cheaper, local equipment that may not be up to the standards of equipment bought before you travel. It is important to purchase good quality and reliable clothes and footwear as you will be facing very cold conditions on the trek. What clothing you pack for the Everest Base Camp Trek will depend heavily on the season in which you trek as well as which specific trek you plan on doing. We provide packing advice for the typical trek to Everest Base Camp which involves ascending in altitude by almost 3,000m. The large variation in altitude, and therefore temperature, makes layering a key concept of the trek. Being able to add or remove layers of clothing while you trek will allow you to readily adapt to the temperature and ensure that you remain comfortable and safe. If you plan on trekking in the colder winter months of December through February, you will definitely need to pack a bit warmer. Check out our guide on what to expect weather-wise. As the first layer of clothing you wear, the base layer is important for higher altitudes and colder parts of the trek. This means you will probably not wear it during the first and last parts of the trek. The fit and material are the most important considerations when deciding on a good base layer. 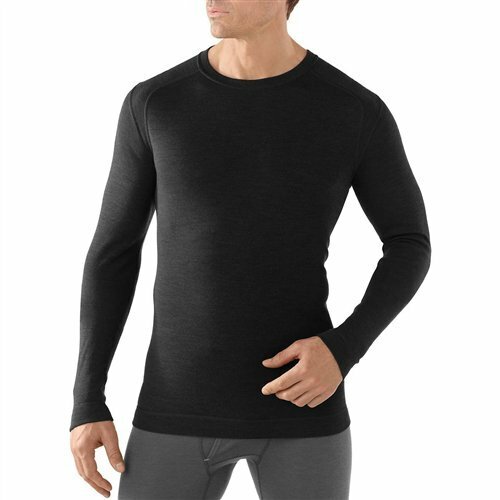 We recommend merino wool base layers as they are very good at wicking moisture away from the body and are retailed at an affordable price. The second layer is the insulation layer and it is usually made from a fleece type material. They are sold for both legs and torso but for EBC only a torso second layer is necessary. We recommend a Polartec 200 Fleece Jacket, which is very lightweight allowing for easy movement when trekking. They are also warm but still breathable and well-priced. 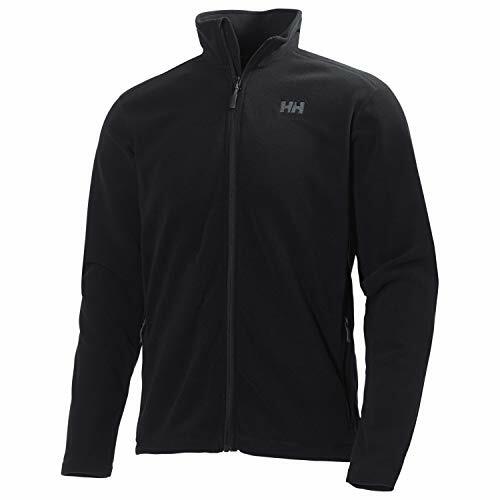 Good brands that make fleece jackets include The North Face, Helly Hansen, Columbia, REI and Patagonia. This layer consists of warm and waterproof jacket and trousers often called the outer core layer. These will mainly be used for higher altitudes of the trek or if the weather gets very cold and/or rainy. As one of the more important and lasting pieces of clothing you will buy, paying a bit more money for a good quality winter jacket should be viewed more as an investment than an expense. 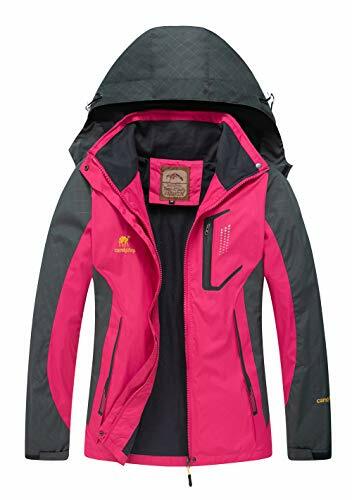 Our recommended brands for jackets are North Face, Mountain Hardware and Patagonia. Of these the North Face Nuptse Jacket takes the money as it is seriously warm for its light weight and offers quality second to none. Jackets can be bought from Kathmandu but will likely be fake. Recommended brands for fleeced ski-like trousers include O’Neills and Trespass. Hiking clothes are needed in addition to the three layers mentioned above. We recommend taking 1 x pair of hiking trousers and 1 x pair of hiking shorts (for the lower / warmer stretches of the trek). 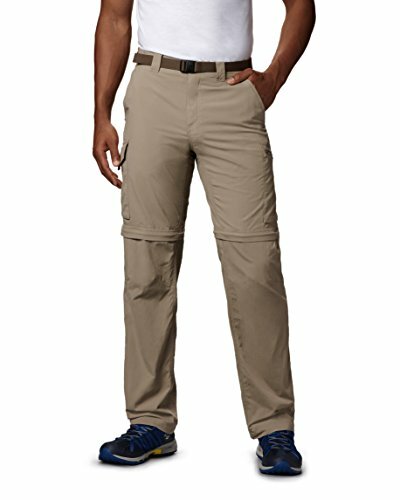 There are many good trekking trouser brands, including: Craghoppers, Trespass and Columbia. You will need around 5-6 shirts that will be worn on most days. Avoid cotton as it absorbs moisture instead of wicking away sweat, resulting in bad smelling shirts after a few uses. Ideal fabric is a breathable, lightweight and quick-drying polyester, merino or nylon. A combination of short and long sleeve shirts are recommended. Our partner, Mountain IQ, have an awesome selection of branded EBC hiking apparel. 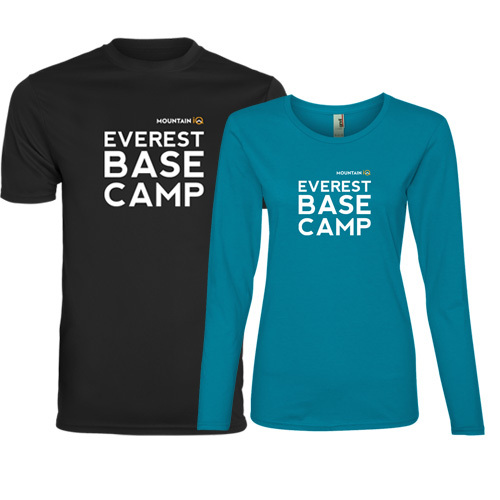 Get 10% off Mountain IQ gear with our discount code ‘EBCTrek‘. See their full EBC collection. Shirts made by Hanes and Icebreaker to name a few are good. Encountering rain on the trail is always a risk, especially if you plan on hiking from June to September (we definitely don’t recommend trekking in the region during these months). As a general precaution we recommend that you bring along some rain clothing – ideally a gore-tex membrane hard shell jacket. The North Face make really good waterproof gear. 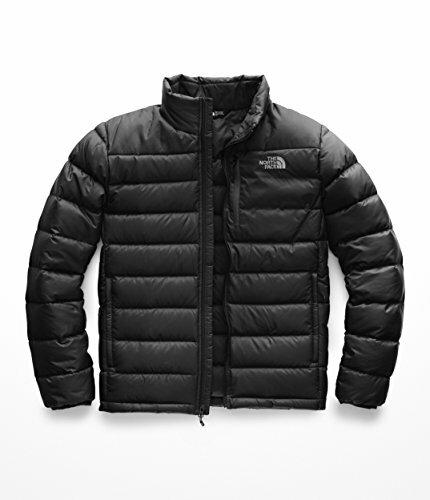 Check out the North Face Resolve Jacket for example. As for trousers you can usually get away with a cheap pair of waterproof pull-overs. 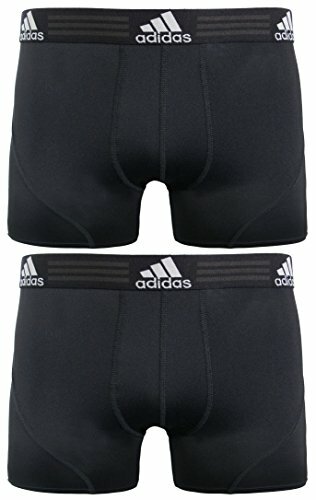 Underwear also needs to be breathable and moisture wicking so we recommend 5 pairs of sports underwear and 2 sports bras for women. 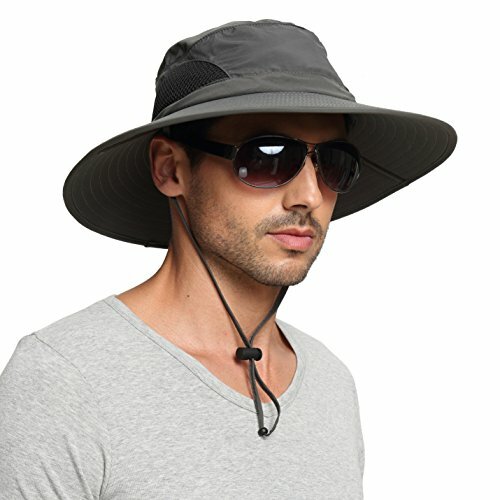 You will need a good, wide brim trekking hat that offers protection from the sun. Best options are ones that are lightweight, easy to pack and cover your neck. 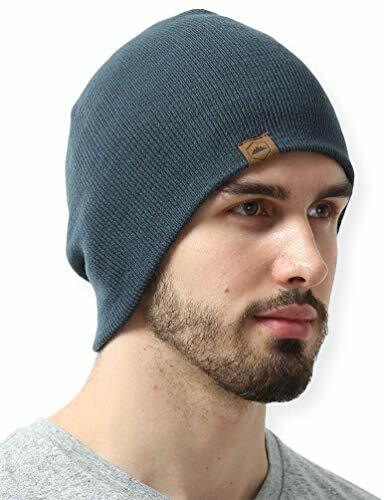 A beanie is a must for when it gets cold at night or when you get closer to Everest Base Camp. North Face and Berghaus make great beanies that will keep your head and ears protected from the elements. A neck gaiter or warmer is another great piece of cheap yet irreplaceable clothing. It will keep your face and neck warm while also preventing the infamous Khumbu cough as you breathe in the cold mountain air. 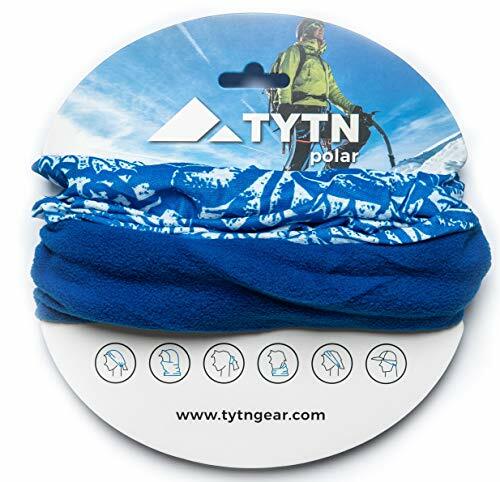 The TYTN Microfibre Neck & Head Scarf Bandana is fantastic. If you plan on travelling in the winter months, you may want to consider a balaclava. As one of the most exposed parts of your body, you will want a warm pair of gloves for the colder segments of the trek. I recommend taking two types of gloves, a lightweight inner glove that can be warm when there is a little nip in the air, and a heavier more insulated pair of gloves. 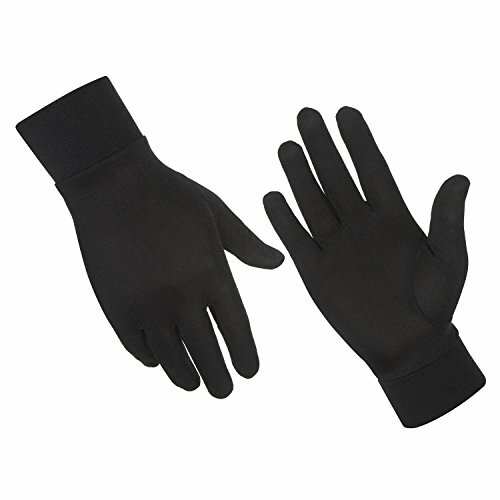 Light inner gloves can be used when the temperature is moderate or when performing intricate tasks such as tying shoe laces. Outer gloves or mittens must be warm, waterproof and durable. They don’t need to be super well insulated unless you plan to do some climbing in the region, for example Island Peak, but they should keep your hands nice and toasty when in sub-zero temperatures. Ideally you are looking for a mid-weight fleeced glove. 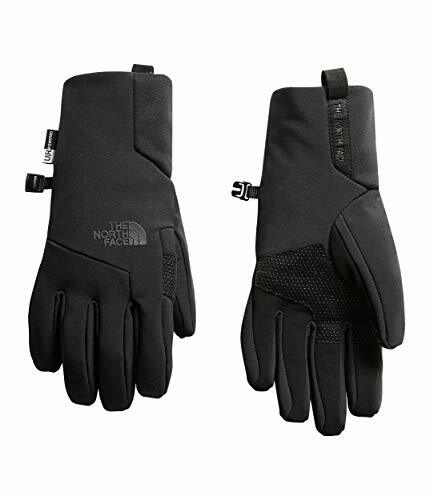 The following brands make good outdoor winter gloves: Black Diamond, The North Face and Outdoor Research. Footwear is without a doubt one of the most important pieces of gear that you need to get right. Think about it, your feet are what get you to Base Camp and back, so you want to make sure you have comfortable trekking boots. Aches and blisters are a nightmare that no one wants to experience, so spend a bit more money on some good quality boots and socks. Top tip: Make sure your boots are well worn-in before starting your Everest Base Camp adventure. Brand new boots will give you blisters. Getting a comfortable boot that is the right size is probably more important than the brand of shoe. You should be able to fit one finger behind your heel to ensure proper fit. Too much space for your finger means too big a boot and not enough room means too small. Find a middle to light-weight hiking boot that offers good ankle support and that has waterproof uppers. Make sure you can tie and untie the laces with ease and check that the boot has deep cut traction on the sole. Goods brands of boots include: Salomon, Hi-Tec, Berghaus or Karrimor. 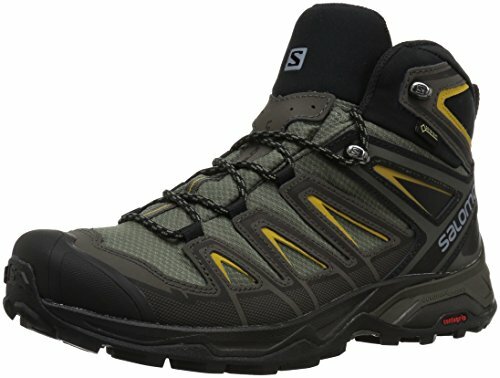 If you want top of the range, check out Meindl or the Scarpa Kailash. We recommend that you hike in boots instead of shoes as the former provide a lot more support. The last thing you want is a twisted ankle! However, it is worthwhile bringing a lightweight and comfortable pair of shoes so that you can use them in and around the tea houses after a days trekking. 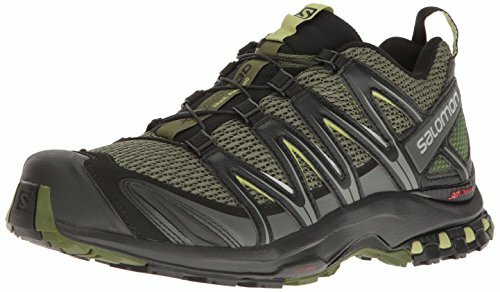 If you are a sandals person check out these trekking sandals that can be worn with socks or, if not, here are some great trekking shoes. Good hiking socks should be breathable and moisture wicking, so don’t choose anything made from cotton. Merino wool is our preferred material for trekking socks. Good brands include: Bridgedale, Coolmax, Smartwool and Point6. We recommend bringing 5-6 pairs of socks. 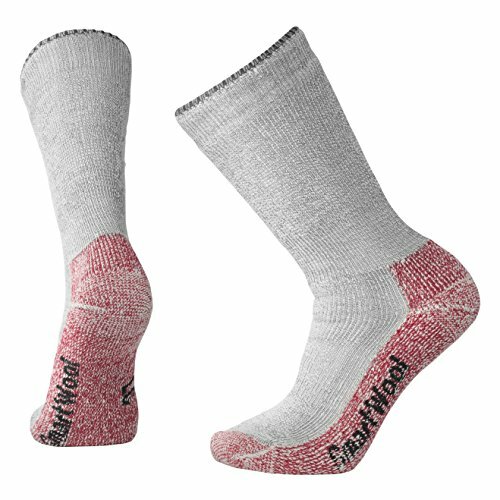 Thermal socks are slightly thicker than standard trekking socks and are used for colder conditions, such as those experienced near or at Base Camp. 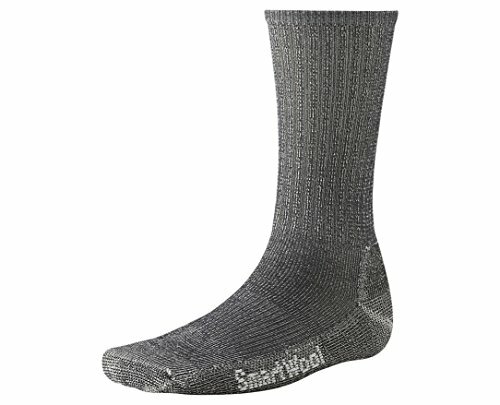 Smartwool, Bridgedale and Wigwam all make comfortable and warm thermal socks that are highly recommended. Bring 1 pair of thermal socks. 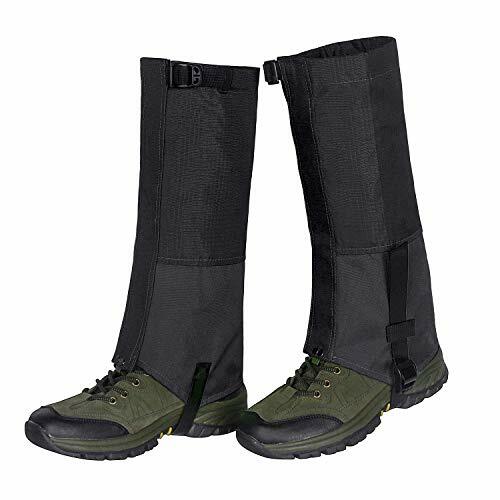 From our experience, gaiters are not an absolute necessity for trekking during peak season when it is warmer. That being said, they are not a large expense and some people swear by them. The type of bag you will need varies depending on whether you will have a porter or will be carrying your own gear. 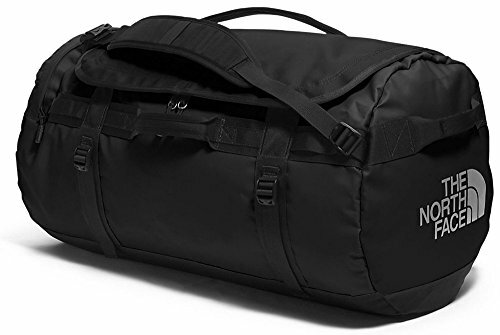 In the case of a portered trek then we recommend a 80L duffle (see details below), otherwise, if you are unsupported and carrying your own gear you will need a 50-65L backpack (see details below). A duffel bag is the best option if your gear is going to be carried by porters. Your duffle bag should be waterproof, durable and lockable. The iconic and most popular duffel bag is the 80L North Face Base Camp Duffel. Helly Hansen also make a pretty good duffle bag. If you don’t have the luxury of porters on your trek, a good backpack with an opening at the top will be needed. 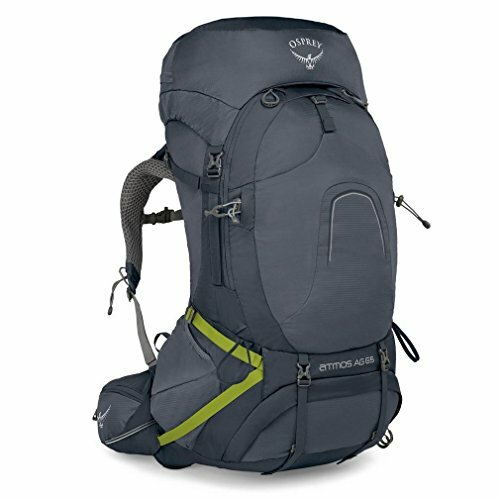 Any backpack that is 50-65L from either Osprey or Black Diamond should be perfect. If you do have a porter, you will still need something small to carry water, rain gear, your camera, snacks and other personal items or things that you will want to have access to on the trek. 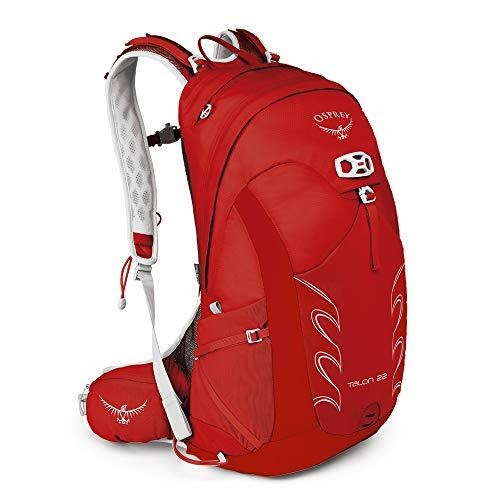 The Osprey Talon 20-22 is the perfect size for carrying things such as water, sun cream, camera, hats and snacks. 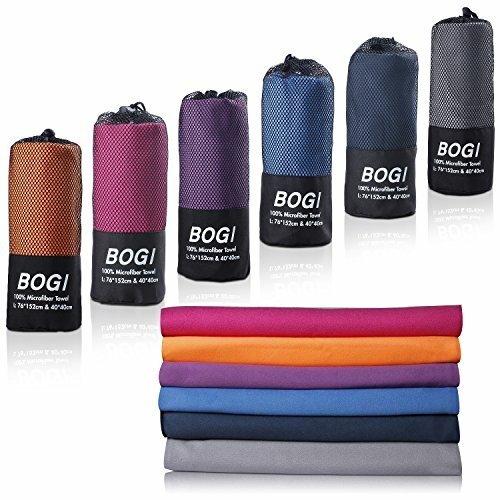 You should also invest in a rain cover for your backpack /daypack. An Osprey Backpack Raincover will do the trick – just check that you have the right size for your backpack / daypack. Along with your hiking boots, your sleeping bag is another critical piece of gear. Teahouses along the route usually provide basic sleeping facilities with blankets but they are generally not clean and certainly not warm enough! Once you get above 3,000m in altitude the temperature inside teahouses, especially during the dead of night, is very cold. Most teahouses are not well insulated and do not have heating outside of central yak furnaces in the common lounge areas. Therefore a warm 4-season sleeping bag (rated for at least -10°C) is a must! The best sleeping bags are generally made from duck or goose down, but nowadays there are good quality synthetic options too. Your sleeping bag should be a good fit to the shape of your body (mummy-shaped is ideal) and should have an insulated hood for added warmth. Our recommendations are the Marmot Trestles, North Face Snow Leopard or the Mountain Hardware Lamina. If you rent instead of purchasing a sleeping bag, a liner will give you a clean environment in which to rest. Any mummy shaped liner, such as these, will suffice. Ear plugs are a good idea if you are a light sleeper and hate the snoring of fellow adventurers! For most trekkers, the use of trekking poles is recommended as they significantly reduce the impact and stress on your joints. If you have trekked with poles before and don’t like the experience then they are not a mandatory requirement. 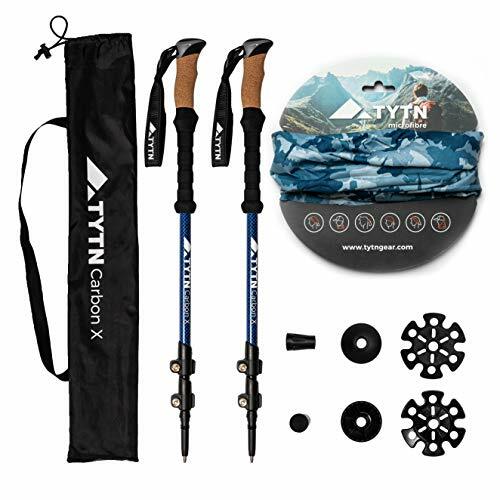 Lightweight, packable poles such as the TYTN Carbon X poles are recommended. A good pair of UV protecting sunglasses are a necessity due to the higher strength of UV at altitude and the glare from snow-covered peaks as you approach EBC. 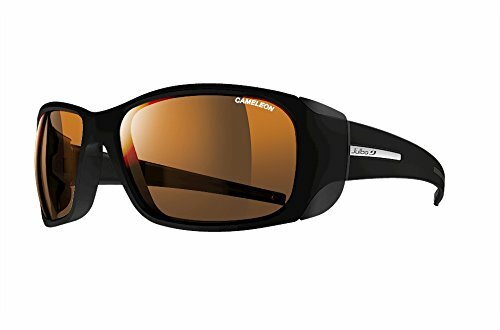 100% UV protection and at least 80% light reduction glasses such as those from Julbo are recommended. A headlamp for getting around the teahouses at night should be brought along as many of the teahouses are poorly lit. 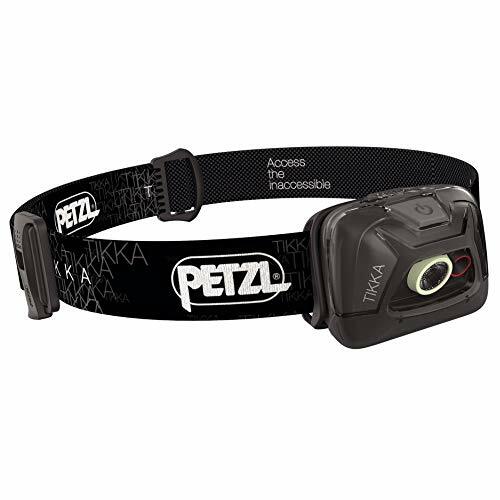 A Petzl Tikka headlamp with some spare batteries should prove to be useful. As dehydration contributes to altitude related sicknesses, proper hydration is vital on the trek. You should aim to drink between 2-3L of water a day. Some people like water bottles, but we prefer water bladders. 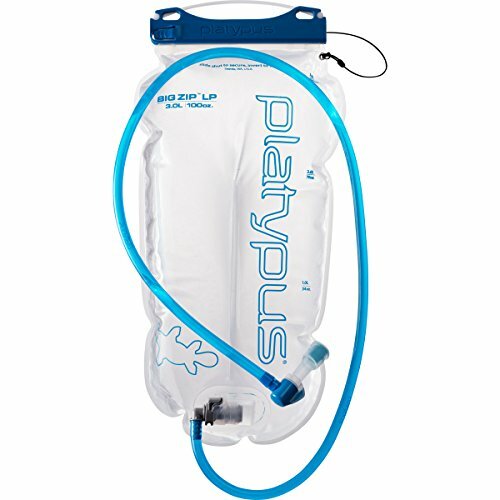 In terms of the latter we recommend the Platypus Hydration water bladder, which fits snuggly into the back of most daypacks. Alternatively, if you prefer water bottles then bring 2x 1L standard Camelbak water bottles made from hardened plastic. Please make sure you purify all water you drink (more on this below!). A smallish towel is useful for drying yourself after a wash. Quick drying trekking towels are recommended. All teahouses have toilet facilities, ranging from the most basic squat ceramic toilets to actual flushing loos. Nonetheless, as you get higher up on the route, facilities inevitably get more and more basic. Coupled with super cold nights and poor lighting, the thought of making a toilet run can be a little frightening! A pee funnel is one way you can answer the call of nature without having to leave the warmth of your room. Freshette Pee Funnels are pretty good. Usually a good idea if you are using porters or carrying around some more valuable stuff – see these cheap locks. Does as the label says – will keep valuables dry. You will definitely want a good camera to document and remember your time in the Himalayas. A smartphone, despite being really good nowadays, will just not do justice to the amazing mountain scenery in the Everest region. If you want to invest in a DSLR camera, check out these. 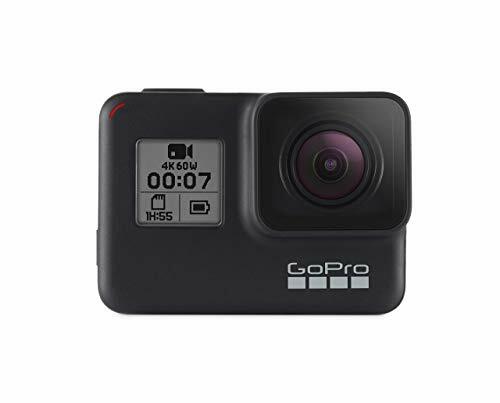 For something more modern, light and trendy, try out the Go Pro, and perhaps you can create an awesome EBC trek diary like these on Youtube. 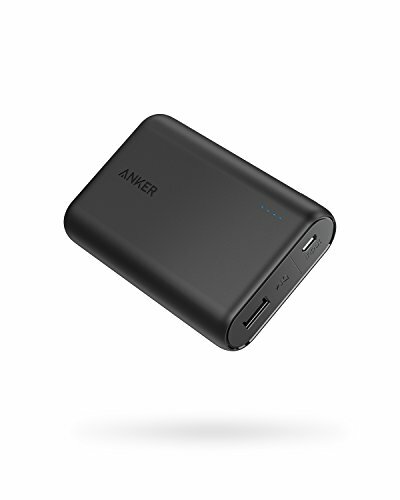 If you plan on bringing anything electronic like your phone, camera or Kindle, a USB charger is highly recommended! In the 21st century there is nothing worse than running out of battery and having no means to recharge. Some tea houses have charging facilities but they will likely make you pay and reliability isn’t great. As there is a lot of free time, especially towards the night, a book or e-reader can pass some free time and also allow you to sharpen your knowledge on the Himalayas! Just make sure you get one with a backlight! 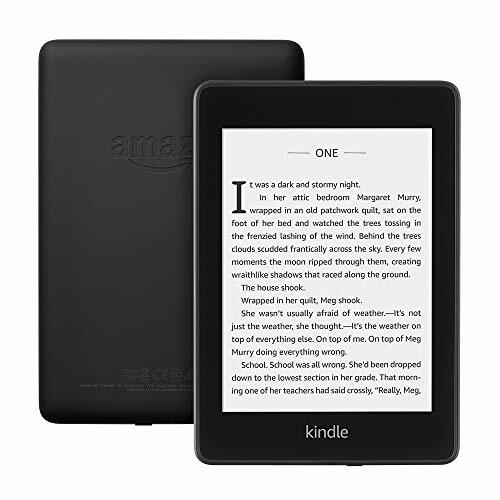 Check out the Kindle eReader and our favourite Mount Everest expedition book, Into Thin Air. No trekking trip is complete without a set of cards. We highly recommend bring cards! Don’t forget all your travel documents such as your passport and visa. Also draw plenty of cash in Kathmandu as ATM’s tend to be sparse on the Everest trek! The last Cashpoint is in Namche Bazaar. You should definitely get adequate travel and trekking insurance from a reliable insurance provider. Almost all good tour operators will require that you have insurance. The latter point is important as if you experience severe altitude sickness the fastest way to get you to safety is via helicopter. We are not insurance experts so we recommend you speak with insurance providers to see if they cover the Everest Base Camp trekking adventure and also read the small print. But from our experience, the insurance company, World Nomads, tick the box! To get a quick quote use the calculator below. 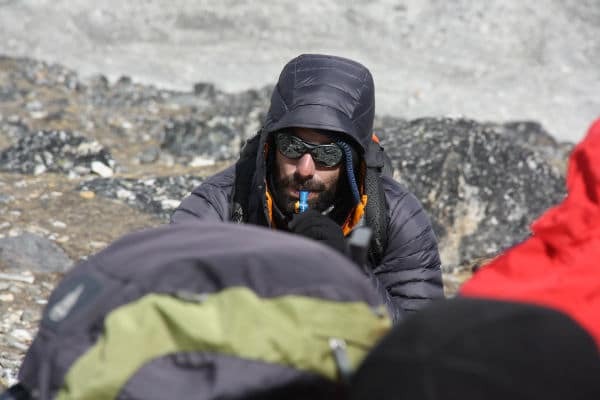 You need to make sure that all water that you drink on the Everest Base Camp trek is purified before it touches your mouth (this includes water you brush your teeth with). There are many methods to purify water, including boiling, reverse osmosis and treating with iodine tablets. Some tour operators will purify water for you. In all cases we still recommend that you use water purification tablets before drinking water. 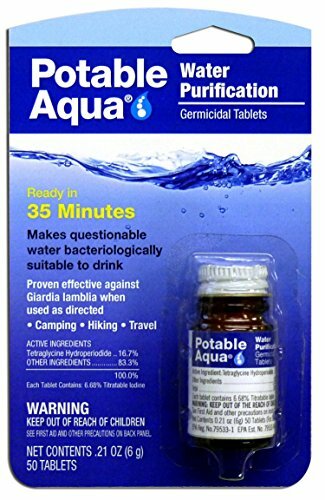 These water purification tablets will do the job! If you are not keen on tablets, you can also purchase a UV water purifier such as the SteriPEN Adventure Opti Mini Pack. When added to your water, this powder will help replace lost electrolytes and keep you fit and healthy. Diamox is the most popular medicine used to prevent the onset of Acute Mountain Sickness and related conditions. Please note, Diamox is a preventative medication and does not treat AMS. If you unfortunately get severe altitude sickness symptoms the only effective treatment is rapid descent. Read up on proper acclimatization techniques and consult your doctor before using Diamox. Some paracetamol for headaches as well as Imodium for diarrhoea. If trekking with a tour group or guide, they will likely have adequate first aid items. If not, bring a first aid kit such as these compact ones. Minimum SPF 30 sunscreen and UV rated lip balm will protect you from the rays. For quick cleaning and refreshment bring a pack of baby wipes. Basic toiletries such as a toothbrush and toothpaste as well as 2 rolls of toilet paper should be part of your basic toiletries. You can buy some cheap toiletries such as toilet paper (single ply!!) on the trail. For small cuts and blisters – we recommend compeed blister plasters. This optional device will measure the effects of altitude on your body. It gives you spot read on oxygen saturation and your heart rate. Rough rule of thumb: Oxygen saturations below 80% should be closely monitored. Below 70% and you should descend immediately until you are better acclimatised (this is by no means gospel, and should be used in conjunction with other altitude symptoms to decide the best course of action). Check out these finger pulse oximeters. Very useful for a quick wash before eating – buy some here. If you have any further questions on this Everest Base Camp Packing List, please leave a comment below and we will respond within 24 hours. Hi, would you reccomend taking any yak traks or crampons? We are going end of March/Beginning of April. Hi Corin, if you are trekking the standard route – strainght up and down the Khumbu Valley – then it is unlikely that you will need yak tracks, but if you have them then there is no harm taking them. If you plan to do any of the EBC trek variations that involve crossing some of the big passes – like Cho La on the Gokyo Lakes route – then I would definitely take yak tracks. Crampons are overkill, especially if you have to change your hiking boots. All the best! I saw in the prices-breakdown that it mentions intenations travel. Does that mean it will include our tickets from the US? What route would you suggest for best pictures? Is it ok to trek in november ending around american thanksgiving holday? Hi Marco, some international companies will include international flights in their tour prices, but most operators only include the domestic flight from Kathmandu to Lukla return. You need to get yourself to Nepal first! I would recommend the Gokyo Lakes route for the best scenery: https://ebctrekguide.com/gokyo-lakes-trek-everest-base-camp. November is fine, although expect cold weather. If you decide to do the Gokyo route then the Cho la Pass may be closed due to snow / weather. It may be better to do the classic EBC route if you decide to trek in November. Hi Mark, Just wondering if it is possible to trek EBC in late June. I understand this is the monsoon but I was just wondering if there would still be scenic views and good photograph opportunities? this is the only time of year that I am free that’s all haha. Hi Ivan, it is possible to trek in late June, but I wouldn’t recommend it. The weather can be very bad and many teahouses close for the monsoon season. Hi, thanks for the informative post. How many days did you take to complete the trek via Lukla? and how long more does the trip extend if you choose to go by Gokyo? Those two are the only routes right? Hi Joyce, the Classic EBC trek takes about 12 days – KTM to KTM, whereas Goyko adds on average 3 days (so 15 days KTM to KTM). It is possible to do both treks faster but I wouldn’t recommend it as acclimatisation takes time and the 12 day or 15 day profile is a conservative approach. My daughter and I are looking to do EBC via Gokyo, but would like to hire a guide. Everything I’ve read indicates we should try to hire in Kathmandu, but have zero knowledge of Nepal and have a bit of trepidation about completing that task. Do you have a recommended course of action for us? Do we just need to ask someone at our hotel or simply roam the streets? Also, because we intend to go mid-May do you have an idea of how cold it will be in high country? Hi Gary, it is quite easy to find willing guides / tour operators in KTM. The Thamel area is rammed with tourist guide shops / gear shops where you can scout for a guide or company. Establishing the quality of the service / what’s included in the price etc. can be a bit of a minefield. The trick is to shop around to compare and contrast services / options. In terms of weather mid-May is a fine time to trek. You can expect freezing temperatures in the high country at night time and in the early hours of the morning. By mid morning and into the afternoon, the temperatures will be in the high single digits or early teens. The high passes, like Cho La can be pretty cold (weather dependent) so make sure you have lots of layers. All the best! Is it possible to buy medicine and items such as an anklet (if you were to sprain your ankle) on the Everest Base Camp Trek? I fear that I am bringing too many kinds of medication to prepare for every possible scenario. Hi Mike, most villages will have tea houses with basic medical supplies and if you are travelling with a reputable tour operator the lead guide should have a pretty comprehensive first aid kit. My recommendation is to bring basic medication – i.e. Paracetamol etc, and a basic first aid kit, but nothing too heavy or cumbersome. Cheers! Hi Mark, we are flying out to Kathmandu on the 27th April and trekking to EBC. Is the weather in the lower areas warm right now and it gets colder the closer we get to EBC? As we get closer to EBC, what you recommended above for the packing list, does that still apply for the time we’re going? Just want to make sure we don’t over pack as keeping weight down is crucial. Hi Yogi, yes, the day time temperatures in the lower regions around Lukla will be comfortable. But temperatures drop in the night. By the time your reach Namche you can expect very cold temperatures at night. Temperatures can rise into the low to mid teens during the day around Namche and further up the trail. As you get further north day time temperatures can be frigid. Packing light is important, but make sure to have sufficient layers so that you have options to layer up and down as temperatures fluctuate. Thanks Mark for getting back to me. What is the temperature like at night? Is there heating in the tea houses? Also, is there hot water in the tea houses, for like showers and do we have to pay for them? Hi Yofi, the temperature varies as you get higher up the trail. But you can expect low single digits at night. All the way to below zero near EBC. Teahouses usually have a yak dung burner in the middle of their common rooms. These produce a good amount of heat but can be a little smoky. Rooms are not heated so you will need a warm four season sleeping bag. Hot water in a bowl is available in most teahouses but you will be charged for it. Showers are rare, but some teahouses lower Dow the trail have them. Again they are paid for. Hi Suresh, thanks for your comment. It is not necessary to take a portable toilet on the EBC trek. The toilets throughout the trek, particularly further up the trail, are very basic. Ranging from outdoor long drops and ceramic holes in the ground, to standard toilets but with no flushing mechanism. Despite being very basic, all toilet facilities beat the idea of a portable toilet that you have to carry with you. Hope this helps! Did you go there in May 2018? I chatted with man named Suresh and his guide on my way to from Namche to Lukla. And we met again several times while we were stuck for days in Lukla. Just wanted to ask you about the toiletries as moistures as what form is better to take up to that height -in a tube or bottle and cream or lotions as what is the effect of pressure on that height? And are there facilities to take shower every day or not? Hi Ashi, generally tubes or bottles are fine. Even aerosol cans can be fine as the ascent to altitude is slow. There are basic facilities for shower in some teahouses, particularly those lower down the trail. Hot water is however a rarity. You can buy a bowl of hot water to do a wet wash with a clothe at all teahouses. Hope this helps. Hey Mark! We’re off to EBC next Friday 18 May, can you confirm exactly which insurance you bought on world nomads? I cant see anything in small print around travelling up to 6000m or helicopter support. Hi Dan, I recommend contacting World Nomads directly if you are struggling to find the right insurance product. From memory you need to select the Explorer option, not the Standard. Then you need to add a Sports & Activities premium. You can search for hiking and you will see they offer coverage up to 6,000m on known routes, like EBC. I believe Heli-vac in Nepal is included but there is an excess. Again, worth double checking with World Nomads. All the best! Hello Mark, we are two married couples from Zimbabwe trekking to BC next April, your site is extremely helpful. Biggest problem we have is we can’t buy much here but will purchase clothing in Kathmandu. On hiking boots we know the quality of Salomon however I note with interest you recommend Hi-Tech and Karrimor both of which have one or two negative reviews on the web. What should we look for when selecting from these ranges. Hi Ken, Thanks for getting in touch. Kathmandu has loads of gear shops, especially in Thamel so you should be able to find all the clothing you need. Quality is generally average to poor though. In terms of shoes, Karrimor and Hi-Tec are definitely budget brands so I’m not surprised that reviews aren’t great. If you are on a tight budget then the Hi-Tec Altitude or the Karrimor Mount aren’t bad. Otherwise, Salomon or Merrell is a much better bet! All the best! I had a pair of expensive brand name backpacking boots (Solomon or Asolo, couldn’t remember which) and the sole fell off because they’re glued on instead of stitched on. So now I just use work boots with Goodyear welt. I am planning a solo trek of Everest base camp in the beginning of July (it’s the only time I can do it). I know it’s crazy during the monsoon season. However, is it possible to make it happen?? And is Everest base camp one that can be trekked as a solo trekker? Hi Eric, it is possible to trek during the monsoon season, but I wouldn’t recommend it. Views may be clouded over, expect lots of rain and landslide risk is higher. Many teahouse may also be closed for the season. I would recommend taking a guide, but you are able to hike solo if you want. All the best! This list is great! Thanks for putting it together. Do you suggest any edits to the general list for an early Oct hike? Hi Memo, thanks for getting in touch. The above list works perfectly across the year and is fine for October too! I’m doing the EBC trek in October. Do I need category 4 sunglasses? Or will category 3 be enough? Hi Ross, category 3 is fine. All the best! Mark, This is a great site, thank you for making everything so clear. I am heading to Kathmandu in October to meet my son (he’ll head there from Malaysia, me from UK). We will want to trek to EBC. My question is, should we book a guide (and maybe a porter) when we get to Kathmandu or should we pre-book that before flying out? Also, how much do you recon we should budget for that ? Hi Dave, it really depends on how comfortable / experienced you are at arranging things on the ground. Major operators cost a little more but take all the hassle out of having to arrange hotels pre and post the trip, flights to Lukla and of course your support crew (guides / porters). Organising on the ground is possible but quality varies and finding a reliable operator can be challenging. Going with an organised group and pre-booking will cost between $900-$1500 pp (including domestic flights, hotels, teahouse accommodation, guides / porters etc). If you are happy to arrange everything yourself (i.e. domestic flights, teahouse accommodation, hotels pre and post), then you can get a guide and porter for around $300-$400 pp. Thanks Mark – we’re all sorted for our trip and your site and advice have been a tremendous help – do have any guidance on the tipping culture for the guides / porters. I am a bit English and, well, we have a reputation for getting that all wrong don’t we? We are going to EBC and Gokyo afterwards starting Oct. 13th. With the Gokyo segment being towards the end of October, should we expect the weather to be very cold and the pass possibly closed due to weather and snow ? Hi Richard, the pass is generally open, but depending on snowfall can close in October and November. Unfortunatley there is no way to predict far in advance. I would just be aware that it is possible that the pass will be closed. Thanks , Mark. Much appreciated ! My husband is planning a trek to Everest Base Camp midth October. Is it a good period for trekking? What would the weather be? Hi Nathalie, yes, October is a good time to trek to EBC. Weather can be very variable week to week and at different altitudes, but generally October is dry and warm during the day (below 3000m) and then more frigid and cold above 3000m and at night and in the mornings. All the best! Mark – when it comes to currency – do they prefer the Rupee or the Dollar on the trek ? Hi Dave, you are best to bring some dollars for your on arrival visa and to have a little cash on you for the first day. I then recommend using a cash machine to draw local currency and use that on the trek and in Kathmandu. Hi Mark thans for all the great info. I am from Costa Rica. We are planing to do the EBC next September. Is that a good time of the year to do it? Hi Helga, September is a great time to trek to EBC. You might want to want till mid September to definitely be sure of missing the monsoon. I will do the 12 days EBC this December. I read in the contract, that I have no porter. Will you advice me to have one ? Hi Birgitte, it really depends how comfortable you are carry a ~50L backpack. Hiring a porter is not expensive so you may want to get one just for the convenience. You might also want to check with your tour company if they use Yaks to transport your main bag. Your recommendations and information is priceless! My wife and I are trying to plan our EBC Trek. We are 53 and love trekking. I was wondering are there any tour groups that are age specific so we would be with a group somewhat in our age range? Thanks Alex. Finding age specific groups can be challenging as most tour operators cater for a wide audience. Why don’t you try rope in some friends and create your own group. Hi Mark. Me and my husband are planning to make the trekking at the end of January/beginning of February. That’s the only time we can go. Basically we have trekking experience in places like Alpes, Andes, etc and we never had a guide. I read in many posts people suggesting a guide. Is it so that the trail is not well marked or what is the main reason for this suggestion? Another question is the condition of the trail in Jan/Feb. we don’t mind that it is cold, but of course we mind that it is so slippery because of snow that we cannot go to end. Do you have any comment about this? Also do you have any bad experience that the flights at this time of the year are cancelled due to snow falling? Hi Marcela, trekking independently on the standard EBC trail is not a bad idea if you are relatively experienced and have a good map. Way-finding is pretty easy. A guide though is always helpful, and can also help with arranging teahouse accomodation etc. It’s also a way to give back to the region. The trail in Jan / Feb is generally fine, especially if you don’t plan to go over any of the big passes (Cho La, Renjo etc.). If you are taking the classic trail (straight up and down the Khumbu Valley), then the route is pretty straightforward and won’t be impassable. Delayed flights into and out of Lukla airport are always a risk. I would plan a contingency day or two for bad weather. Hope this helps! Hi Mark, we are doing the Base Camp Trek in December and would like to know what should we add on top of to the list in the article? more layers? do you know if the tea houses have heaters? Hi Rocio, the packing list is sufficient for a December trek, although please make sure you get a good quality four season sleeping bag, quality outdoor winter jacket and warm gloves / beanie. Almost all teahouses have a yak burner in the common room, but all other parts of teahouse, including rooms are not heated (hence, a good sleeping bag is a must!). We are heading to ebc by gokyo ri and cho la pass from jiri. We are planning to start around end of february/ beginning of march. Do you think gokyo ri and cho la pass will be open? Also, do you have any recommandation of shop to buy or rent a third layer? Hi Cedrik, Gokyo Ri and Cho La should be open around this time – as long as there isn’t a late massive snowfall in late Feb / early March. In terms of gear, there are loads of gear shops in the Thamel district of Kathmandu – just make sure you avoid bad ripoffs – these will fail on the trek. The level of detail you have provided is priceless and really helpful! Do you have any recommendation for travel consultants if we want to stay at EBC overnight? Also, I saw one of the consultants offering trek to the camp II on Everest. Do we need to be prepared like the hike to summit if we want to trek to camp II? I don’t have much experience in mountaineering but Iam really keen on doing the camp II or atleast stay for a night at EBC based on your suggestions. Hi Prashant, I recommend using our tour operator recommendation service. We will put you in touch with a trek operator who can arrange a night over in EBC: https://ebctrekguide.com/go. In terms of going to Camp 2 on Everest, I am not aware of any trek operators who offer this. In fact I’m pretty sure this is impossible without purchasing a climbing permit (cost: $12,000). The closest you can get to camp 2 is the EBC crampon point, just before you enter the Khumbu icefall. Any closer requires a climbing permit. All the best. Thank you Mark for the details, and your suggestion about the travel consultant. I will get in touch with them for further proceedings. Hi Mark. This is tremendous helpful information on EBC . Read up most of them. I needed to know about fitness levels before embarking on the trek and few reliable trek companies / guides i can approach for the EBC trek. Would also like to know the best months to do the EBC. H Aditi, here is information on training: https://ebctrekguide.com/best-training-program-everest-base-camp-trek and in terms of best months check out this article: https://ebctrekguide.com/best-time-to-trek-to-everest-base-camp All the best! Hi Mark: I’m surprised you didn’t mention water filter or water purifier, instead of just purification tablets. Any rationale for this ? Thanks. Hi Linh, you can also use a water filter like Steripen. I recommend using it in conjunction with purification tablets. I am sure it’s a question that has been asked 1000 times, but I’m currently short on time so apologise in advance! The basic EBC hike – in YHO end April or end September?? End April as it coincides with the climbing season so the mountain, teahouses and trails are teaming with interesting folk. Mark, thank you for the information on your site. I have a question regarding going independently in late September/October – is it hard to get accommodation on EBC and Gokyo treks if you do not have a guide? There will be 6 of us, including a couple of kids. Do we need to book teahouses in advance or can we just rock up and find some rooms. We are not particularly picky and would like to do it independently to have time/acclimatisation/weather flexibility. Also – are there many kids trekking there? And – how busy does it get Sept/Oct months – this is the prime time – how many people are we expecting to encounter on the trail? Hi Kasia, teahouse availability varies but as you have a large group I would recommend bring a porter or guide a long to help with securing rooms each day. A guide would also be helpful for way-finding, especially as you plan to do the Gokyo route. You will find the Gokyo section nice and quiet compared to the main EBC track. You won’t see many kids on the trail, I’ve hiked to EBC twice and have only ever seen a handful of kids. Hope this helps! Hi Mark, If you need to use the toilet in the middle of a days trek, is it OK to just stop and take a pee there and then? Hi Mark, can you tell me if I’m being a fool planning to do the Everest Three Passes trek in January? I’m a 31 year old female with good hiking experience in the UK and very fit and active but never done high altitude stuff. I’ve read that the passes can be closed due to snow and altitude sickness will be more problematic due to cold. I’d like to give it a try and need to decide ASAP but I need some help. Hi Madeleine, not at all. The three passes trek is a challenge, but as you sound fit and healthy I’m sure you will be fine. Just make sure to build in enough acclimatisation days to avoid altitude sickness. The passes in Nepal are super high (almost as high as Kilimanjaro) so you need to acclimatise properly, especially before going over the first pass. January does come with it’s own challenges though. Snow cover and cold are at or near its peak during this month so it is possible the passes will be closed. Make sure to go with an experienced guide and bring good quality / warm gear! Great info. Thank you. Regarding tea houses. Should I be concerned about lice or sanitary conditions (plates, untensils)? Bring my own pillow? Hi Keith, Lice is generally not a problem and sanitary conditions, although poor are also generally not a problem. I recommend using antibacterial gel to wash your hands before eating. You can also bring a pillow cover if you are concerned about bed bugs, but I have trekked extensively in the region and never had a problem. That being said, make sure to set your standards low. I’m doing EBC November/beginning December will a 700 fill power down jacket be suitable? Hi Sue, yip, that is fine. Hi, thank you for your insights and articles. I’ve gone through most of it. As a first time hiker, I would like to know what things I should rent and what should I buy. Personal items such as Base layer of cloths, shoes etc I will buy but can I rent out remaining items? Can you also suggest personal items available to me in India. I’ll be taking this trip with my wife during last week of coming March. Hi Vibhor, you can rent many of the items you need in Kathmandu. I would make sure to have the main clothing items, hiking boots etc., but when it comes to sleeping bags, trekking poles, daypacks etc, these can be rented. Also Kathmandu, particularly Thamel, has loads of gear shops when you can buy cheap rip off gear if you are missing anything. Hi Steven, if you are using porters then I would go for a 90L duffel bag for your main gear / clothes and a standard a standard hiking daypack, like the Osprey Talon 30. If you will be carrying your own gear then a hiking backpack with a capacity of 60L is sufficient. I would recommend Osprey again. I would not take a canvas bag. Is bringing food not necessary at all? Yip, no need to bring food. Teahouses offer a wide variety of food and snacks. You may want to bring your favourite snacks or a spread (like peanut butter). All the best! Hi Le Blanc, yes, a sleeping bag is essential. It gets well below freezing a night in Gokyo and around the higher villages. Finding a guide in Gokyo to help you navigate the Cho La Pass should be straightforward, but I recommend searching for one earlier on the trail, perhaps in Machermo. Thanks for your site! It is really helpful! I’m planning to do EBC on my own next April, no guides or porters, do you think it is ok? I’ve done ABC and Kilimanjaro before and I use to hike a lot. I am so keen to celebrate my birthday over there! Itbis my dream! Also I would like to know if it’s possible to sleep on the Base Camp itself for a night. It would be awesome! Thanks in advance for your time and all your work in here! Hi Maria, yes, it is possible to hike independently to EBC. The trail is well marked and there are many villages along the route. Make sure to take a good map though. In terms of sleeping at EBC this is a little more tricky. The only way to arrange this is via a well connected trek company that can get you a night in the camp of one of the climbing expedition teams. It usually costs around $150 a night. Thank you for your amazing information, absolute legend for putting all this out there. Just a few questions, Me and my girlfriend are going to be trekking alone in Mid april. I’m wondering if we will have any issues with finding accommodation along the way? is it known to ever be completely filled up? We are both ok to have very basic accommodation if its a last resort. Also whats your suggestion with booking the flight? Any suggestions on booking the return ticket as we may not arrive back to Lukla in time due to changes in schedule etc, does this usually make our return ticket to kathmandu expired if we arrive after our return day? or can we book our return when we get back to Lukla? Hey Kieran, thanks for getting in touch! In terms of teahouses, one is usually able to find at least one with availability – most don’t take forward bookings, however, a lot of tour companies have existing relationships with teahouse and will pre-book or use a porter to run ahead each day to secure beds / rooms. If you take a porter then this is a possible way to secure a room every night. In terms of flights, it is possible to get onto a last minute flight from Lukla, but there are no guarantees. If you are super flexible you can always stay a night in Lukla waiting for a flight back. Hope this helps! My name is Luis Sagado, im from mexico city. Ive been looking to do the EBC trek tour in april 2020. Can you tell me how many days do I need as a back up for booking the international flight to and from katmandu to the US?, in your website you say that its better to take a number of extra days in case of delays. And secondly are credit cards accepted during the trek? It going to be my first time for this trip and im really excited about it. Hi Luis, yes I recommend having at least a day extra in KTM, as delays out of Lukla are relatively common. Credit cards are generally not accepted in the Everest region, so cash is best. There is a cash machine in Namche, but I recommend bringing cash from KTM. Mark, this is the poster child for how web-sites like this should be organized. Quick Q. Can you bring a small backpacking stove to heat up your own water (to make coffee, etc)? Can you buy the propane canisters there? Thanks Bill! Yes, you can bring a small backpacking stove but I’m not sure about propane canisters. There are many outdoor shops in Thamel, Kathmandu – I would assume some sell propane canisters, but I’m not certain. Most teahouse though have good facilities and can provide hot water.